Much like Lima, there will be hordes of taxi drivers waiting to pick you up when you arrive at the airport and they will all continue to harass you until you get into a taxi. It is best if you contact your accommodation ahead of time and have them arrange for a driver to pick you up. This will cost you the same amount (40 soles), and will make your life much easier. If you do end up grabbing one while you are at the airport, you can probably haggle your way down to 30 soles. Be sure to NOT give them your bag, because if you do this they will start walking to their car with it, then tell you 5 soles more “for parking” or another scam. I actually had to fight and forcefully grab my bag back from a driver at the Lima airport when I told him I wouldn’t give him the 5 extra soles. Don’t be like me, just get the prearranged car. 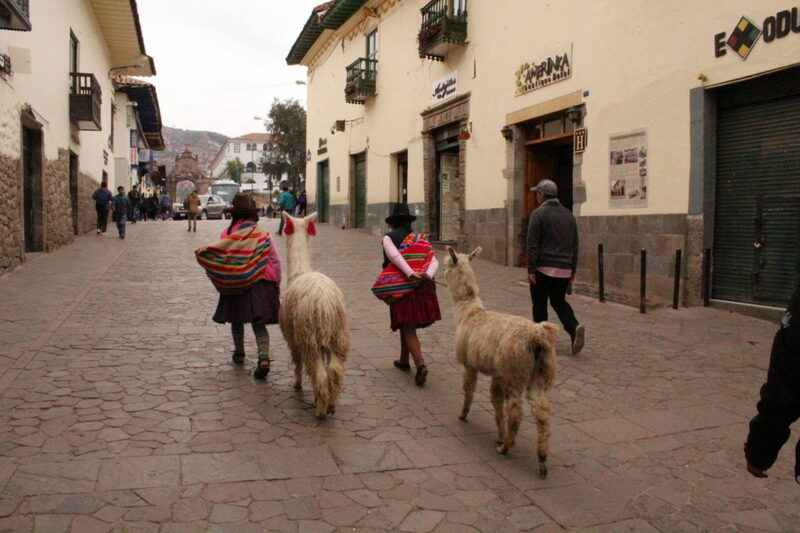 Compared to Lima, Cusco is a much smaller town, and everything is pretty centrally located. You will want to stay in the historic center, and not on the outskirts, but apart from that, there’s not much else to it!! When I say Cusco is small, almost every day we were out and about we saw someone we had met before while either on a trek, at the hostel, at the bar, or just out to dinner. You will see people you know and you will love it, Cusco becomes very intimate very fast. There are three main hostels that pretty much everyone stays at. Pariwana, Wild Rover, and Loki Hostel. Pariwana, where we stayed, is pretty social, but doesn’t have to be. Their biggest rooms are 14-bed dorms and we paid $8 a night for those, and the privates cost us around $20-30 per night (together, so $10/$15 apiece). Breakfast is included and they do events every night such as salsa dancing, beer pong tournaments, neon party, and one night they even had a Corona party. Loki and Wild Rover are two other hostels about a 5-minute taxi ride (up the hill) from Pariwana. The great thing about these hostels is Wild Rover is a CRAZY party hostel. It’s loud to stay at, but you’re guaranteed a good time. The bar is an absolute blast (we even met some locals there), but obviously, the travelers were what made it such a fantastic experience. Loads of free drinks and shots were given out, and lots of dancing on the bar ensues. Most of the people traveling in Cusco are there to do hiking just outside of the city, so it’s hit and miss on who you meet that wants to go out. Apart from Wild Rover (which I recommend for meeting people at if it’s early in the night), there are a few other bars in Lima, including a few nice rooftop bars. For the after party, there is a fun underground club called Chango, and though most of Peru seems stuck in the 2000’s music wise, they did brighten my evening with some “Shape of You”, “Despacito”, and lots of Shakira, Enrique, sprinkled in with the occasional Pitbull. We probably stayed until 5:30 am, and it didn’t look like it was shutting down anytime soon. Unfortunately, unlike Lima there is no Uber in Cusco, but thankfully everything is pretty much within walking distance. Cusco is in the mountains though, so keep in mind the town is hilly. If you aren’t up for a walk after you’ve been hiking (I wouldn’t blame you), then you can just hail a cab from pretty much anywhere on the street. They’re easy to haggle down and going to somewhere else in the center should only cost you about 5 soles, and going to the outskirts (one of the overlooks) will cost you about 15 soles. Main train station is called Poroy, and is a 35-minute taxi ride from the historic center. This is the only way out of town and will cost you about 35/40 soles to get there. If you are taking a taxi from your hostel to the train station and the hostel calls it for you. Cusco is a great city to just wander around the side streets and poke into little shops here and there. 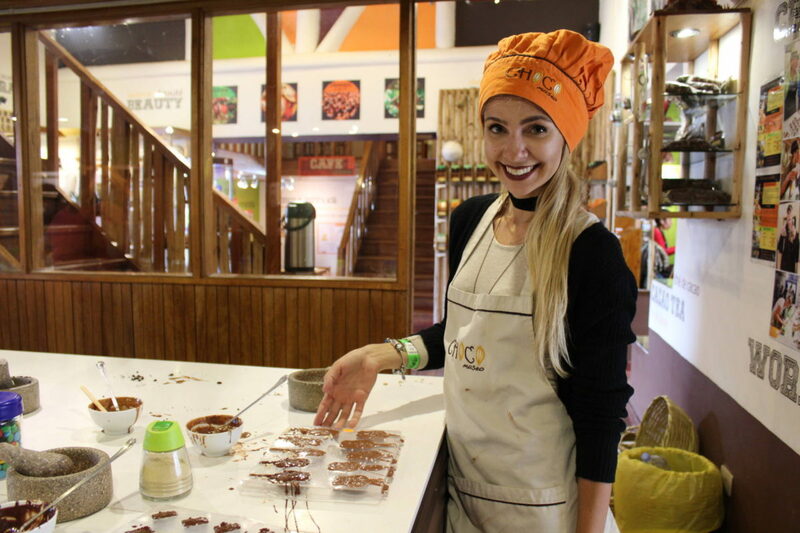 There are a few museums, ruins and different things you can tackle, as well as a great Cacao Museum where you can make your own chocolate and learn about the history of the ancient Incas and their dedication to Cacao. 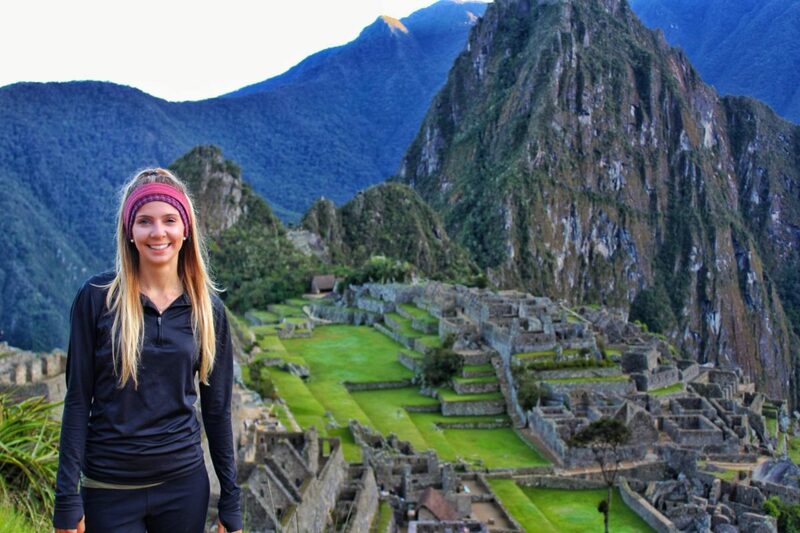 Apart from wandering and the ruins within the city, Cusco is the place where you take all of your hiking trips from. From Cusco you get to Machu Picchu, this is how you get to Rainbow Mountain, it’s how you do all of the different treks. When you get to Cusco you can walk into any shop and see the different trek options, difficulty level and more. There us also a great market to explore, and try some of the fresh local food.